Bad weather = fly tying! 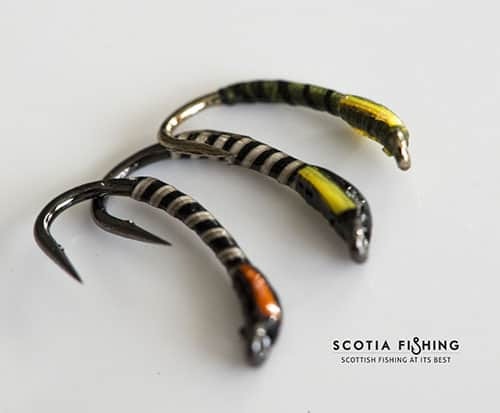 Here goes the first post on the Scotia Fishing blog – Woo! There isn’t a more Scottish way to open up this blog than to have a moan at the weather, and that’s exactly what I’m about to do! The festive period in Britain weather wise has been nothing short of horrendous. Torrential rain and gale force winds have battered the length and breadth of our country, many homes have been without power and some have even lost their homes due to flooding! In comparison the 2013 fishing season has probably been the driest I’ve ever experienced in my fishing career. Many rivers in Scotland suffered due to this severe lack of water, mainly the Highland spate rivers that rely so heavily on our famous Scottish rain. The only river that had any sort of consistency was the might Tay which experienced one of it’s best years in a long time, particularly in the Spring. At times we fished and guided on this river when it was up to six inches below the summer level – what we would have done for a wee bit of this rain we’re getting now back then! Bad weather in winter calls for one thing, fly tying! I recall the days when I used to tie flies for the sake of it, sadly these days are gone and it takes a bit more motivation to get the vice out, that said once I get into a routine I’m all right. Closed season isn’t all such a bad thing I suppose, it allows us to get those decimated fly boxes filled up again with our deadly “Scotia Fishing Specials”. I’ve been tying so much recently I developed a kind of thumb rash caused by hook points penetrating them while holding back materials, yuk! Anyway, here is a few favourite patterns of ours, the real killers are kept under wraps though! We use these in various sizes from 4-7 inches in length. This is a pattern taken from excellent south west saltwater fishing guide Austen Goldsmith, a fly he calls “Oz’s Livebait” – says it all really! Just about every fish in the saltwater eats Sandeel’s, going without a selection of Sandeel type patterns would be nothing short of a school boy error! One of the most controversial flies ever created, the blob always provokes a response in one way or another! This is a fly that always raises eyebrows when we show to our clients. How can something that looks like absolutely nothing be so damn effective? We honestly don’t know, what we do know is Rainbow Trout love them as much as we do! Originally tied for Tarpon I believe by a Mr Dan Blanton! Man oh man, where do we start with this fly! I was introduced to this fly by my boat partner (who is now a friend of mine) on a Pike Fly Fishing Association day a few years back now. After the first drift he had pulled out half a dozen or so Pike while I had nothing, lucky enough for me he kindly offered me a spare one, an offer I eagerly accepted (no shame). I ended up catching 2 or 3 Pike that night and one of them turned out to be the biggest of the event weighing in over 19lbs in weight! 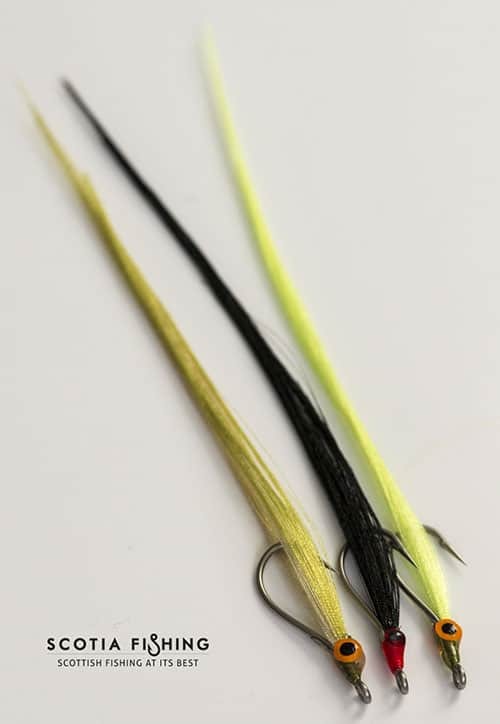 Black & Olive Buzzers – mandatory Trout flies! Another fly that always sees an intrigued response from our clients. The Buzzer actually represent a midge pupa, 90% off a stillwater Trout’s diet, no wonder they are so successful! 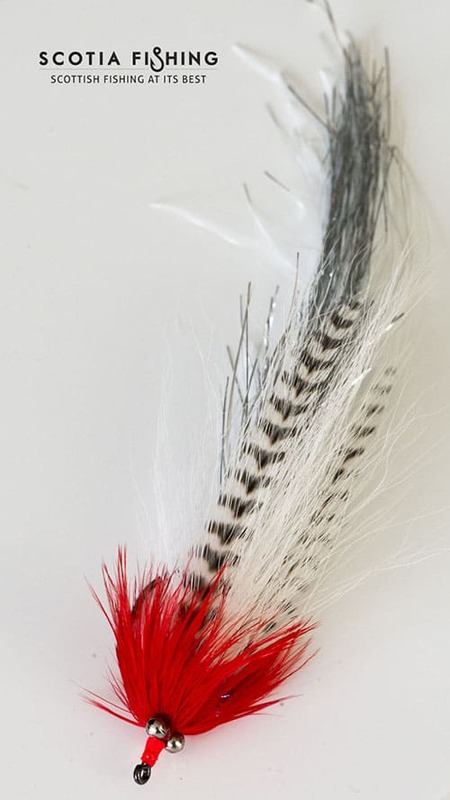 This is one of our personal favourites and most productive patterns for Rainbow trout. I hope this weather improves soon, I need to get out with the Spey rod for casting practice! 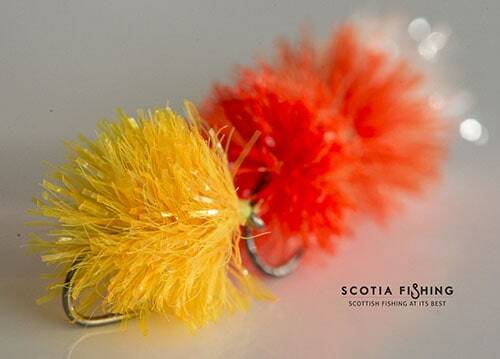 All the best for the 2014 season from Scotia Fishing. http://scotiafishing.com/wp-content/uploads/logo1.png 0 0 Callum Conner http://scotiafishing.com/wp-content/uploads/logo1.png Callum Conner2013-12-29 12:47:082016-01-12 20:32:01Bad weather = fly tying! Hello and welcome to the Scotia Fishing Blog. Check back to read the latest news from Scotia Fishing guides and all things related to fishing in Scotland. Feel free to subscribe to our blog to be kept up to date with all of our news and reviews.